This New Poster for US is keeping US up at Night! 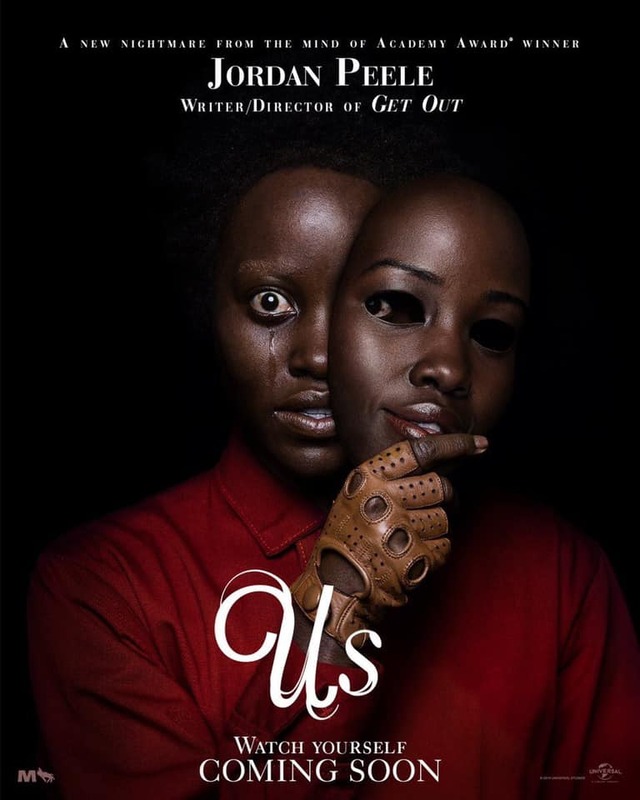 I gotta say, Lupita Nyong'o has been making some really amazing choices with her career, and as some Twitter observers have noted, she may be giving a better performance in this poster than most actors give in their whole career. There's so much going on here. I can't look away. What fan theories can we take away from this? As we know from previous trailers, the monsters in US are dopplegangers of the main characters, so we can expect that the movie will explore theories of identity, and how we're our own worst enemies. The official synopsis of the movie describes Adelaide Wilson, the character played by Nyong'o, as "haunted by an unexplainable and unresolved trauma from her past... Adelaide feels her paranoia elevate to high-alert as she grows increasingly certain that something bad is going to befall her family." Is that unresolved trauma unmasked in the course of the movie? What's up with the driving gloves? And does she have to "watch herself" - her "high alert" paranoia? Isn't the whole point of paranoia that you're paranoid? What do you do if they're really out to get you? What do you think, Talkbackers?